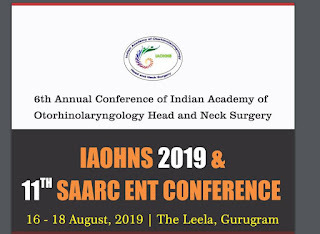 Welcome to IAOHNS 2019 (6th Annual Conference of Indian Academy of Otorhinlaryngology Head & Neck Surgery) being held at The Leela Ambience Hotel, Gurugram from 16th to 18th August, 2019. This will be a landmark event in the fields of specialty of Otorhinolaryngology Head & Neck Surgery and all its subspecialties and will break the global and national barriers to bring everybody in the field together. The conference will be preceded by pre conference CME’s in different fields. The speakers will include International faculty who are masters in their field and Indian experts. 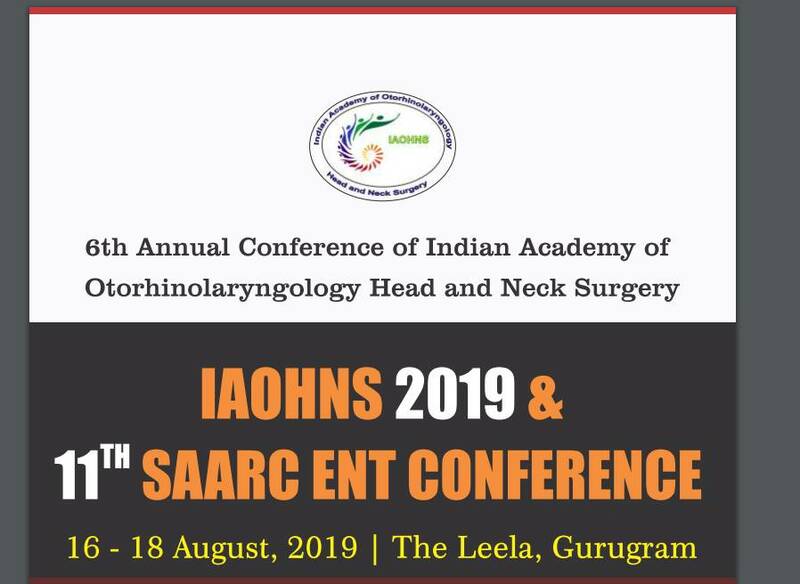 The annual conference of Indian Academy of Otorhinolaryngology Head & Neck Surgery is established as a high caliber academic event which is looked forward by everyone in the specialty. The Indian Academy of Otorhinolaryngology & Head Neck Surgery was started 5 years ago by some likeminded Otolaryngology colleagues with an academic bent of mind to have Conferences dedicated to pure academics and ethical practice and learning. The IAOHNS has taken several initiatives on propagating the broad specialty of Otorhinolaryngology Head & Neck Surgery and all it’s subspecialty branches. The Academy also has taken the comprehensive task of forming Protocols and guidelines in every aspect of Otorhinolaryngology and also spheres heading the movement of bringing the subspecialty associations under its umbrella. The Academy also publishes its own official journal - The Annals of IAOHNS to disseminate knowledge. The Academy Conferences are known for their high energy academy content and in-depth discussions on the contemporary issues related to the specialty. Previous Conferences at Chennai, Chandigarh, Kolkata, Pune and Vijayawada were well attended and appreciated by the delegates. Gurugram the host city is also called the millennium city. Itis a part of national capital region of India and is a satellite city of Delhi.It has become one of the leading financial and industrial hubs and is office to more than 250 Fortune 500 companies. Venue is Hotel Leela Ambience which is a deluxe 5 star property and is a benchmark hotel for holding conference. It is very close to New Delhi International airport (about 15minutes drive).